If drones are going to become the commercial vehicles that the industry hopes, they need to be able to fly for much longer and to recharge quickly. So a new fuel is coming into the world and with it drones can fly for hours. What’s this new fuel, how it help drones to fly for hours?. The new fuel is a hydrogen fuel cell has been developed that can extend flight time to several hours — rather than the typical 20 minutes. The range extender can also be recharged in just two minutes, as opposed to one to two hours. Loughborough-based Intelligent Energy, which developed the range extender, hopes it will accelerate the commercial possibilities for drone use. “Drones are one of the most exciting new technologies. Even with advanced batteries their value is limited. For commercial use, they need to offer better flight times and range,” — said Julian Hughes, who works at Intelligent Energy. Flytrex, makers of commercial drones, released the “world’s first” personal delivery drone this year. The drone can carry parcels about the weight of a smart phone for up to seven miles. Its average flight time is 32 minutes. DJI commercial drones also have flight times of around 15 minutes. The hydrogen range extender isn’t the first instance of drone flight times being extended to hours. Back in July solar-powered drone AtlantikSolar broke the world record for endurance in unmanned aerial vehicles under 50kg when it flew non-stop for 81 hours. The fuel cell was also used to power the “world’s first” manned hydrogen-powered flight earlier this year. 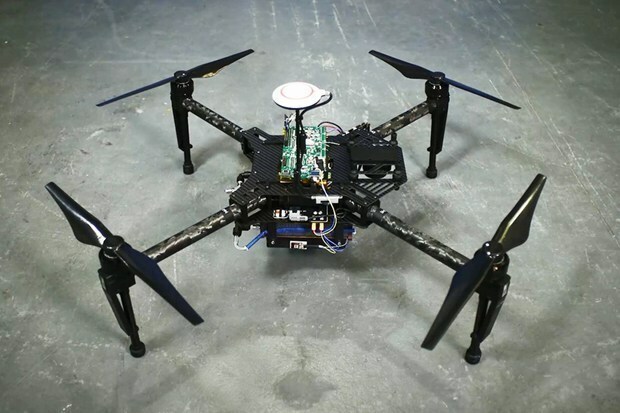 What do you think about this new fuel going to power up future drones ? We’d love to hear from you in the comments!